LaVar Ball famously boasted, “Back in my heyday, I would kill Michael Jordan one on one.” Comments like this in today’s show business and social media means that just because it was said, it must be true. Colorful statements such as this can get you a reality show in Hollywood or on Facebook, but in real reality, there are no merits to his claim. Michael Jordan, the college, NBA and Hall of Fame superstar reportedly responded, “I think he played college, maybe? He averaged 2.2 points a game. Really?” Yes. LaVar Ball played 26 games at Washington State and averaged 2.2 points per game. Despite his self-proclamation, LaVar Ball’s claim is unfounded. He is hardly in the same league as MJ. Just like Ball’s bluster, Greenwashing, another member of the outsized claim family, is a method of advertising used to convince consumers that their products are healthy and environmentally friendly in order to boost their public image. Companies manipulate consumers into buying “green” products, which are often no different from other products. 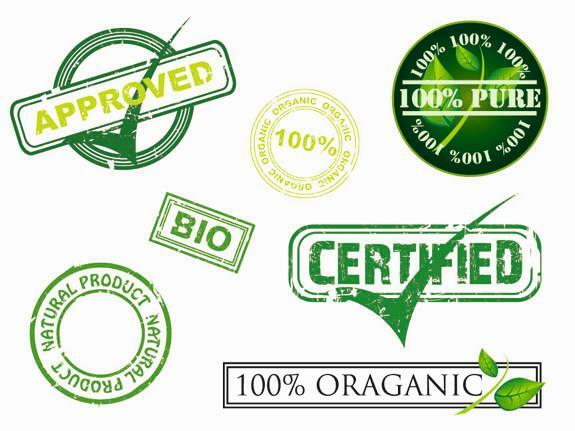 They can take advantage of consumer demand for eco-friendly and healthier products by making a new label, but keeping the original formulation the same. In a study conducted by the NIH in 2009, researchers found significant flaws in scientific validity and that more than 98% of consumer products alleging to be green were guilty of making baseless “green” claims. These invalid claims are categorized into seven different “sins” that marketing companies use in order to seem healthier or more environmentally friendly. Sin of the hidden trade-off occurs when companies suggest their product is green based on a very small set of attributes, while not calling attention to greater environmental or health impacts. For example, paper made from a sustainably harvested forest may still yield significant pollution costs during production and transportation. This is not only non-environmentally friendly, but can pose adverse health effects (i.e. asthma, upper respiration illness) as a result of air pollution. Sin of no proof is committed via assertion of an environmental claim that cannot be substantiated by accessible information or verified by a reputable third party certification. For example, some plastic products declare that they use post-consumer recycled content, without any evidence or without saying what percentage of the new product is actually recycled material (it could be 2%). Sin of vagueness is a claim that is so poorly defined or broad that it has no meaning, and that is made with the expectation that consumers will misunderstand. For example, saying a product is “all natural” doesn’t really mean anything. Things like mold, chemicals and bacteria could be considered “natural,” but do you really want it in your surface spray? Another example is “organic dry cleaning.” Companies that advertise this neglect to inform consumers that dry cleaning products contain carbon, which, by definition is organic. People use the term organic to project an image of wholesomeness, but it’s incredibly vague and broad enough that it doesn’t mean much outside of chemistry class. Sin of irrelevance is when companies promote their product by claiming something that may be the truth, but is irrelevant information or intentionally misleading. For example, a company that may make the consumer pay more for a product that is “CFC-free,” while not disclosing the fact that chlorofluorocarbons are already banned by law, and have been for some time, so would not be allowed to be an ingredient anyway. Another example is when peanut butter products are labeled as “cholesterol–free.” Peanut butter and all other plant based products are cholesterol free – cholesterol is only found in animal products! Sin of fibbing is when companies make environmental or health claims that are simply false. For example, products claiming to be “Energy Star Certified” when they have not been endorsed by that entity. Sin of false labels arises when companies use a fake third party endorsement from an entity that does not exist, or charges for a certification that has no set of standards. This is also when advertiser use green “jargon” to mislead consumers that they are certified. For example, saying that their product is “eco-preferred” does not mean they are certified. By knowing the ways companies intentionally attempt to mislead consumers, customers can better educate themselves so they save money, and protect the health of themselves, their family, and the environment.